New England Society for the Treatment of Trauma and Dissociation - Lynn Sanford presents: "I Am Bad So I Do Bad: The Power of Shame"
Lynn Sanford presents: "I Am Bad So I Do Bad: The Power of Shame"
" I Am Bad So I Do Bad: The Power of Shame"
Shame is a common sequelae to trauma and often is an underlying cause of many behaviors that bring people to the attention of helping professionals. Shame can also be the "glue" that holds families together. This workshop will explore the role shame plays in criminal, abusive, addictive and self-destructive behaviors. Implications for interviewing and treatment approaches will be covered as well as the challenges to countertransference management represented by shame. Linda T. (Lynn) Sanford, LICSW is currently the Visiting Professor of Trauma Informed Social Work at Wheelock College. She began her career 40 years ago working with victims of sexual assault. She has also worked for twenty years with youth who have been convicted of crimes against people (homicide, attempted homicide, and multiple sexual assaults). 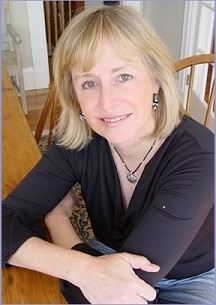 She is the author of Strong at the Broken Places: Building Resiliency in the Lives of Survivors (1990, 2004) and The Silent Children (1980). Sanford is also co-author of Women and Self-Esteem (1984) and In Defense of Ourselves (1978). Sanford currently works as a Military Family Life Consultant on Marine Corps Air Station at Iwakuni, Japan. She has also recently worked with children whose parents were deployed to Afghanistan and Iraq at Ramstein Air Base in Germany and Joint Base Elmendorf-Richardson in Alaska. In 2010, Sanford was an invited speaker to the American Society of Child Abuse Professionals National Conference speaking to civilians and officers in the Air Force Medical Wing on resiliency as they developed the Air Force Comprehensive Airmen Fitness Program.